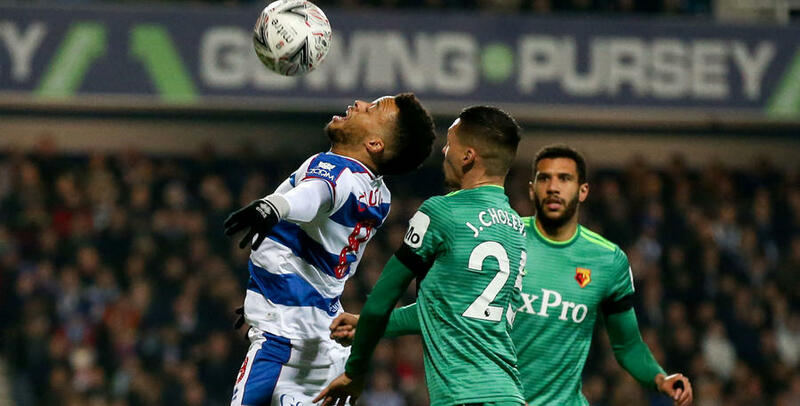 QPR’s run in the cup came to a harsh end at Loftus Road this evening as Premier League side Watford came out 1-0 winners in a well contested game in W12. The R’s had the better of both halves but were undone by an Etienne Capoue strike on the stroke of half time. Defeat denies Rangers the chance of competing in the quarter-finals for what would have been the first time in 24 years. Steve McClaren opted to play the same side that were narrowly defeated against Bristol City in the league on Wednesday. That meant birthday boy Joe Lumley was in goal and protected by a back three of Grant Hall, Toni Leistner and Darnell Furlong. Jordan Cousins, Massimo Luongo and Luke Freeman occupied the middle of the park with the big and little combination of Matt Smith and Nahki Wells up top. Our visitors fielded a strong side but still made a few changes with Troy Deeney and Andre Gray starting up front. 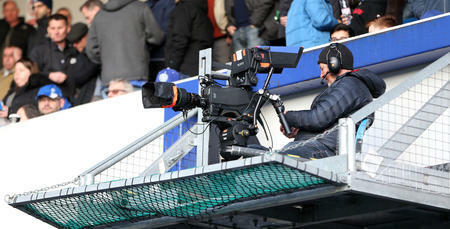 During a tense opening spell, with the Loftus Road crowd absolutely rocking, neither side managed to work an opening. A nasty clash of heads between Matt Smith and Watford centre-back Miguel Britos brought a long pause in the game. Both teams continued to try and suss each other out but QPR were more probing with Matt Smith close to connecting with a Jake Bidwell cross on the 23rd minute. Three minutes later Watford put together their first real move of quality, which involved good combination play between the two strikers and the ball breaking to Daryl Janmaat who prodded over. 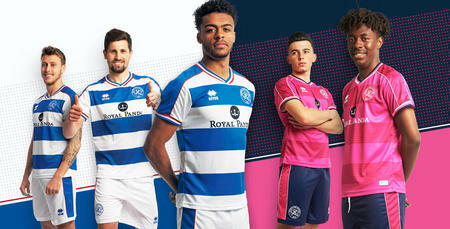 The game was beginning to open up and it was QPR’s turn to attack next. A classic Luke Freeman corner could only be punched away by Heurelho Gomes in the Watford goal and Massimo Luongo controlled well at the edge of the box before firing inches wide. 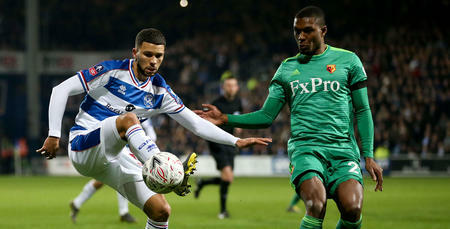 QPR began to take charge and Watford were put under a sustained period of pressure with Smith’s aerial play causing problems. Our visitors lacked fluency and saw a number of their moves break down with some loose passing in the final third. In the 40th minute, Steve McClaren’s side again went so close to taking the lead. Freeman won the ball in midfield and drove forward before playing a lovely weighted pass to the onrushing Nahki Wells. The striker struck his effort on target but Gomes produced a fine low save to claw it out and push it around the post. But just before the end of the first period QPR were dealt a cruel blow when Watford took the lead through Etienne Capoue. Watford’s deep corner found Tom Cleverly unmarked and his miss-hit shot fell into the path of the Frenchman who guided the ball into the bottom corner. The Hornets had stung Rangers just before the half-time whistle. The Hoops needed a fast start to the second 45 minutes and they got that by pressing Watford high and forcing them into some basic mistakes. The R’s nearly capitalised on one of those just after an hour when Christian Kabasele carelessly passed it to Nahki Wells with the forward curling his shot agonisingly wide of the far post. Watford were struggling to get any foothold in the game but crucially held the lead. QPR again threatened with a number of set-plays but couldn’t find the elusive equaliser. With 20 minutes left Steve McClaren opted to make his first sub by bringing on Tomer Hemed for the lively Nahki Wells and five minutes later Ebere Eze for Pawel Wszolek. After a difficult spell in the game, the Hornets started to enjoy some possession and made a few defensive changes to hold on to their slender lead. With things beginning to fizzle out McClaren played his last trump card by throwing on Bright Osayi-Samuel for defender Grant Hall. And two minutes later QPR should have been level. Freeman whipped in another delightful cross to Furlong at the back post and the defender put it on a plate for Toni Leistner but the captain somehow failed to convert from two yards. A glorious chance and Rangers final one. The Hoops huffed and puffed for the last four minutes of extra time but our visitors saw the game out well and now advance into the quarter-final draw on Monday night.